This radio was a technological breakthrough, since it one of the very first portable radios to use a PLL frequency synthesizer tuner. What does that mean to you? Its easy to use digital tuning enables precise AM, FM and Shortwave reception. Panasonic was at the height of Japanese radio technological superiority when this was produced. I hunted a very long time to find a near perfect example of this outstanding table radio. 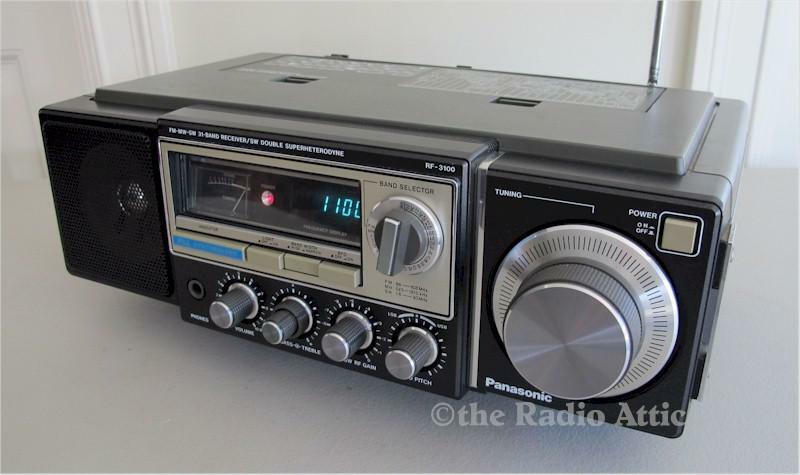 If you enjoy locating a variety of foreign shortwave stations along with high sensitivity for AM and FM, this radio is just as competent as any modern set, more than 35 years after it was sold! 14-1/2"W x 5-1/4"H x 9-1/2"D; 8 pounds.